LOCATION, LOCATION, LOCATION! 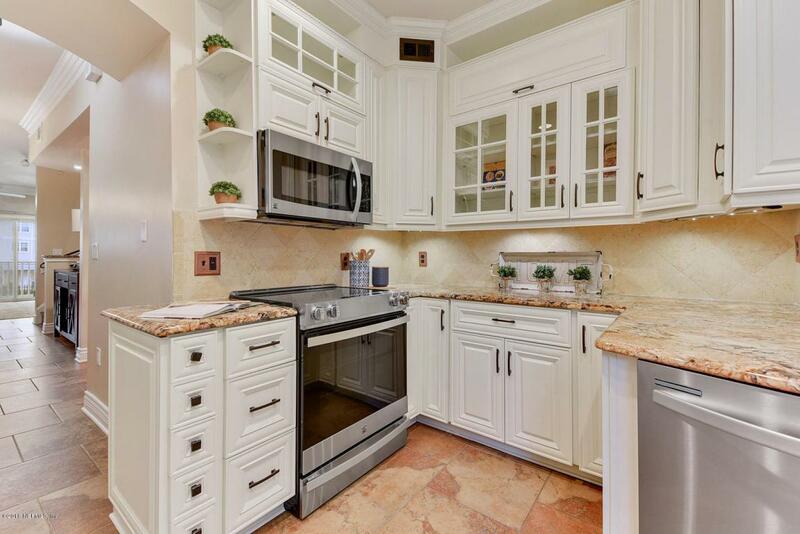 Fall in love with this BEAUTIFUL condo ONLY 2 BLOCKS from the ocean! 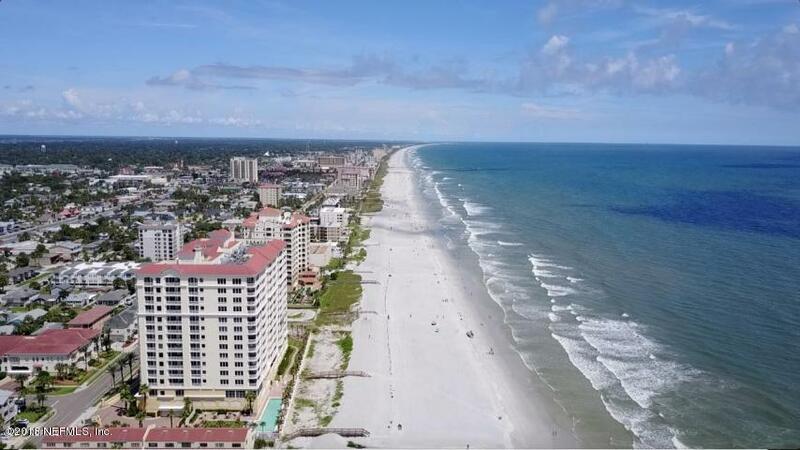 A short 1.6-mile drive to JTB, and 1.2 miles to the Jacksonville Beach Pier! Not to mention, UPGRADES GALORE! As you walk in the front door you're greeted by a Beautiful TILE MOSAIC! The entire 1st floor has ITALIAN PORCELAIN TILE FLOORS/BASEBOARDS! Family & friends will love staying in the PRIVATE 1st-floor GUEST SUITE which features a kitchenette with upgraded cabinets, GRANITE COUNTER TOPS, & KITCHEN AID WINE COOLER! The Guest Suite has a fully upgraded bathroom with a LARGE walk-in shower and a RAIN SHOWER HEAD! Back Door leads to a private PAVER PATIO where guests can enjoy their morning cup of coffee.The second floor is where you'll surely entertain your guests! 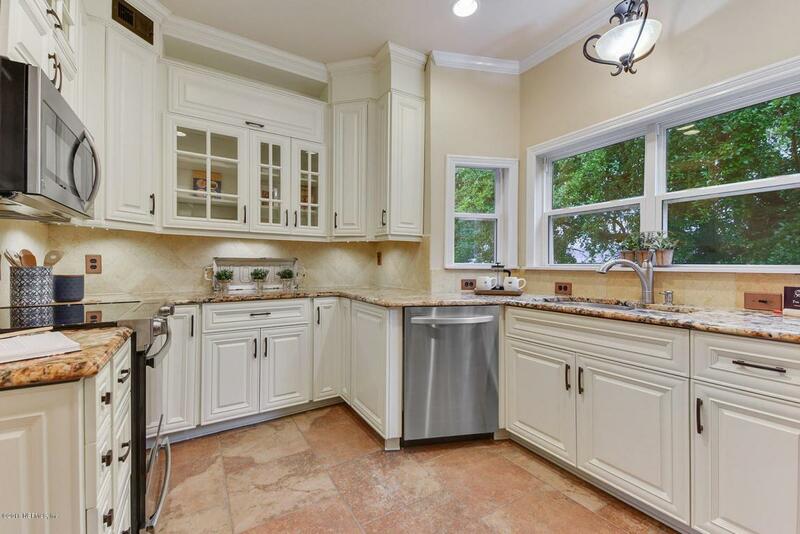 Fully Upgraded kitchen with BRAND NEW STAINLESS STEEL KENMORE ELITE APPLIANCES (Fridge is not new but in great shape), UPGRADED CABINETS, & GRANITE COUNTERTOPS! Laundry Room and pantry have custom shelving systems which make storage a breeze! The Family Room has pre-wired ORB SURROUND SOUND speakers which stay with the condo! 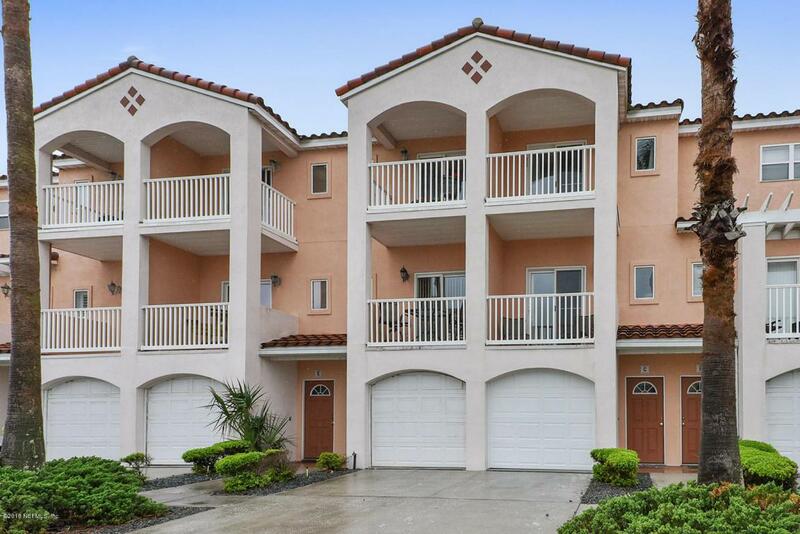 Enjoy the OCEAN BREEZE & Sound of Waves Crashing while sitting on the family room balcony! The ENTIRE CONDO has CROWN MOLDING & BASEBOARDS throughout! 1st & 2nd Floors have ITALIAN PORCELAIN TILE and 3rd floor/stairs all have CHERRY HARDWOOD FLOORS! Recessed Lighting & Upgraded Ceiling Fans in every room! The 3rd Floor has a secondary bedroom with a BEAUTIFUL Built-In Desk/Entertainment Center which is great for storage! The master bathroom has UPGRADED SINKS, FAUCETS, Turkish MARBLE FLOORS/ COUNTERS, BACKSPLASH, and Tub/Shower combo! Master Suite's Walk-In Closet has been fully upgraded with custom shelving to give maximum space for clothes and even has a built-in Shoe Rack! Watch the sunset from the Master Suite's private balcony as you enjoy your new Jacksonville Beach condo!